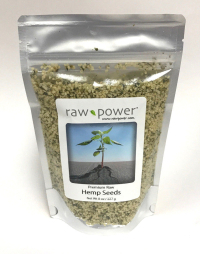 Consisting of 33% highly digestible protein (containing 10 amino acids), these organic hemp seeds are also rich in essential fatty acids, high in fiber, and contain chlorophyll, vitamin E, iron and trace minerals. Consisting of 35% oil, hemp seeds are packed with omega-6 and omega-3 and are the richest source of EFAs in the plant kingdom. 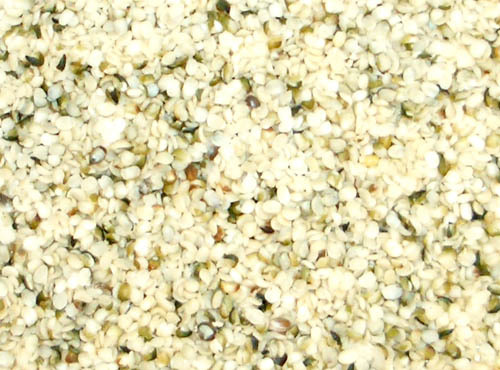 Hemp seeds have a delicious, nutty flavor that fits into almost any recipe. Sprinkle on your salads, add to dressings, smoothies, nut patés, homemade trail mixes and energy bars. Or come up with your own way to add these wonderfully nutritious seeds to your diet.